Star Automation is an industry leader in the repair of variable frequency drives (VFDs), AC & DC drives, AC Inverter. Our drive repair lab has dedicated testing capabilities for a variety of different manufacturer’s products. ABB, Siemens, Mitsubishi, Allen Bradley, Baldor, Bridgeport, B & R Automation, Danfoss, Omron, Yaskawa, L&T, Lenze, AC tech, AMK, Indramat, Indramat rexroth, Infranor, Industrial drives, Ingersol rand, Panasonic, Fuji, Fanuc, Hitachi, Toshiba, Schneider, Gettys, AEG, Telemecanique, Modicon, Delta, Hitech, Reliance ,Teco, OKUMA, Peerless, Pacific Scientific, Eurothrem, LUST, NORD, Hypertherm, Sanyo Denki, Parker, Servo Star, Japan servo, Jetter, Kawasaki, Heidenhain, T-Verter, Kollmorgen Seidel, Danahar, Fatek, Bosch rexroth, Vexta, Crouzet, NEC, and more. 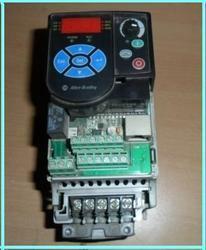 Engaged sales and Service for all kinds of Industrial Automation Products. We are dealing with ABB, Yaskawa, Omron, Orient Electric, Panasonic, Delta, and Danfoss. 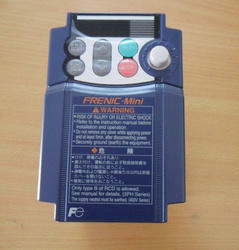 We are offering Service for all kinds of industrial automation products such as VFD, PCB, Servo Motor and Servo Drive. To help minimize your down-time we can exchange or replace your vfd. Star Automations has an extensive inventory of rebuilt and new VFD for exchange and/or sale. We are having well trained and skilled engineer. 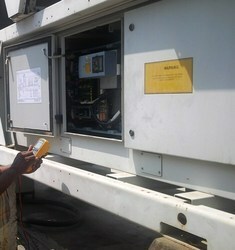 We also afford VFD installation for various industrial based applications. Are you searching for Allen Bradley Service provider? We are offering Service for all kinds of industrial based low voltage drives,medium voltage drives ,inverter drives ,converter modules, vfd ,motion controller,Axis drives,servo products, HMI, PLC, BLDC, SMPS, Roller Motor, Temperature controller and so on. We are dealing with Panasonic, Yaskawa, Fuji, Delta, Danfoss and so on.We are in this field for more than a decade. We are having well trained and skilled engineer and they have successfully completed many projects. 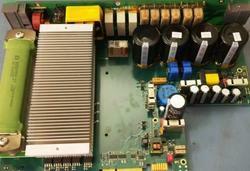 We are also offering PCB repair and service. ABB ,Alstom ,Siemens, Mitsubishi, Allen Bradley,powerflex 7000, Ac tech ,AMK ,AEG ,Baldor, br-automation,basler, B&R,Bridgeport, Blum,Baumueller ,beckhoff ,GE ,ESR , Exlar ,Omron, Telemecanique,Yaskawa, L&T, Lenze, AC tech, Bautz ,Indramat, , DMM Technology ,Leroy-Somer,Ebara,robicon, Emerson, sangalli servomotori, MAXON Motor ,GEORGII KOBOLD, Control Techniques , SMAC electric actuators , FAULHABER,gefran ,heidrive-motion,sew euro drive ,infranor , cs-lab ,simDrive,servotecnica ,harmonicdrive ,Berger Lahr ,Bosch, rexroth, Infranor, sumitomo drive europe ,lti-motion , Granite devices , Dunkermotor, Dunkermotoren ,KEB ,STOBER ,ELMO motion control,Industrial drives, Ingersol rand, Trio motion,mclennan , Panasonic,Printed Motors, servotronix, Fuji, Fanuc, Hitachi, Toshiba, Telemecanique, Modicon, Delta, Hitech, Teco,omron g5hhp, OKUMA, Peerless, Han's motors ,Eurothrem,converteam, lafert ,LUST, leetro ,NORD, Hypertherm, Sanyo Denki, TRINAMIC ,motionCookie ,Leadshine ,Parker , Servo Star, Japan servo, Jetter, Kawasaki, teknic , Heidenhain, T-Verter, Kollmorgen Seidel, Danahar, Fatek, Bosch rexroth, Vexta, Crouzet, NEC, and More. To help minimize your down-time we can exchange or replace your damaged vfd. 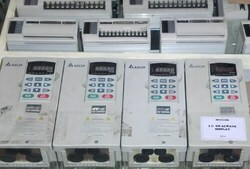 Star Automations has an extensive inventory of rebuilt and new vfd for exchange and/or sale. Siemens, Mitsubishi, Allen Bradley, Baldor, Bridgeport, Omron, Yaskawa, L&T, Lenze, AC tech, AMK, Indramat, Indramat rexroth, Infranor, Industrial drives, Ingersol rand, ABB, Panasonic, Fuji, Fanuc, Hitachi, Toshiba, Schneider, Gettys, AEG, Telemecanique, Modicon, Delta, Hitech, Teco, OKUMA, Peerless, Eurothrem, LUST, NORD, Hypertherm, Sanyo Denki, Parker , Servo Star, Japan servo, Jetter, Kawasaki, Heidenhain, T-Verter, Kollmorgen Seidel, Danahar, Fatek, Bosch rexroth, Vexta, Crouzet, NEC, Yaskawa and more. Star automations offers comprehensive on-site Plant maintenance services for Electrical , electronics and instrumentation ,ac drive, variable frequency drives, dc drives, servo drives, spindle drives, Robotics drives,PLC ,DCS control , servo motors and other control Systems. Star automations offers comprehensive on-site Drive maintenance services for ac drive, variable frequency drives, dc drives, servo drives, spindle drives, servo motors and other control Systems. we offer annual maintenance contract and regular preventive maintenance program . Star automations provides complete solutions for the support and maintenance of high value electronic Printed Circuit Boards (PCBs) and Railway inverter repair and maintenance service. We are an electronic engineering company specializing in troubleshooting , Repair and maintenance Reverse and re- Engineering of industrial Electronic Inverters, power supply systems of railway coaches and railway inverter for ac coaches,converter and battery charger. USA(United States), UAE (United Arab Emirates), UK, Saudi Arabia, Malaysia, Sri Lanka, Australia, Argentina, Bangladesh, Belgium, Bahrain, Brazil, Bhutan, Belize, Canada, Switzerland, Cameroon, China, Colombia, Germany Denmark, Egypt, Finland, France, Greenland, Hong Kong, Greece, Indonesia, Ireland, Israel, Iceland, Italy, Jamaica, Jordan, Japan, Kenya, South Korea, Kuwait, Sri Lanka, Morocco, Mauritius, Maldives ,Mexico, Malaysia, Netherlands, Norway, Nepal, New Zealand, Oman, Philippines, Portugal, Poland, Qatar, Russia, Saudi Arabia, Singapore, Thailand, Turkey, Taiwan, Tanzania, Ukraine, United Kingdom, South Africa, Vietnam, Zambia and Zimbabwe. Looking for VFD Repair ?